Welcome to the official FIFA 17 discussion thread ,all news will be posted here. 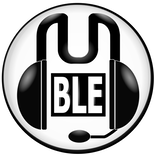 Last edited by degoose on Tue Oct 11, 2016 9:33 am, edited 5 times in total. Full reveal is coming next week and scheduled to take place during EA's pre-E3 event, EA Play, on June 12 at 1 PM PT which is 9pm BST. Very intrigued by the switch to Frostbite here. I think it was pretty clear that "Ignite Engine" was nothing more than a bit of marketing and another iteration of the engine they've used since FIFA 07. What remains to be seen is whether they're taking advantage of Frostbite, or whether they've merely moved their assets across as EA are forcing Frostbite on all their games. The 'philosophy' behind FIFA 16 was a huge stride in the right direction, however their trailing foot was obviously held back by the dated engine which resulted in the game feeling clunky. Looking forward to seeing gameplay. An Online Manager mode needs to be in this. Looking forward to my 10hrs go on EA access a week ahead of launch tho to check it out. yeah it will be interesting, FIFA 16 for me plays some of the best FIFA in years at least from a realistic view. 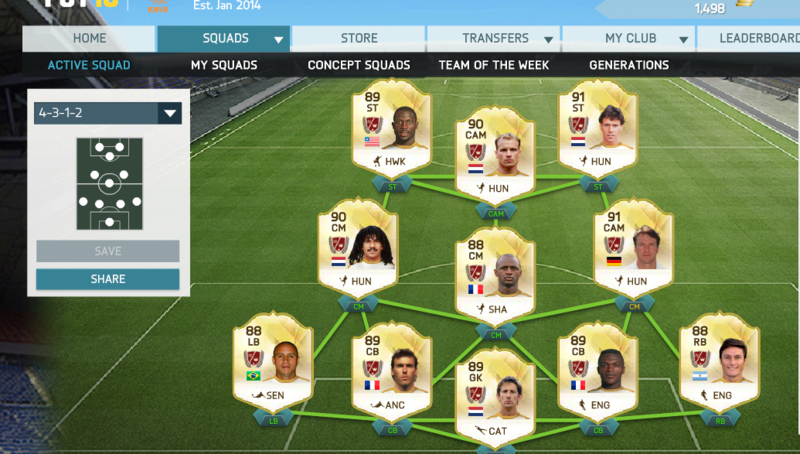 It is far less about pace like FIFA15. It wasn't perfect though (nothing is) and it had a good few things needing tweaking so i wonder how that will go into the new game. FIFA needs to continue providing a good game as PES was better last year and if they sort out a few issue looks to be even better. 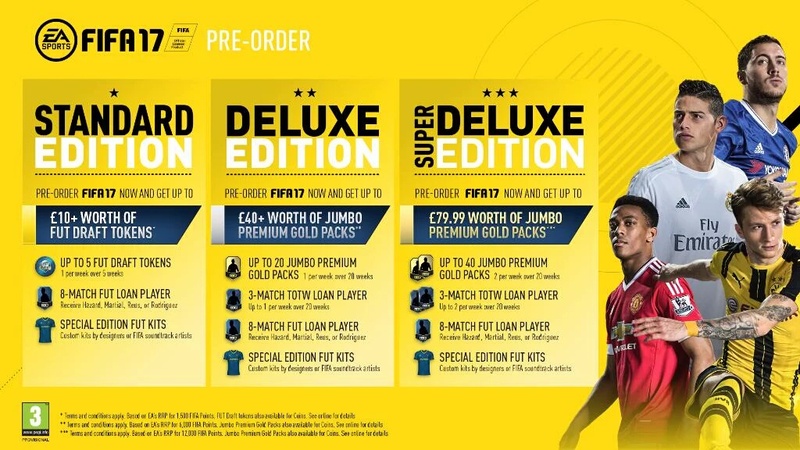 If you pre-order through FIFA 16 game on XB1 you get 10% off plus an extra 10% off for EA Access = £63.99 for Super Deluxe Edition. Last edited by Monkey Man on Tue Jun 07, 2016 5:42 pm, edited 1 time in total. I absolutely detest FIFA's focus on Ultimate Team mode, I personally get absolutely no joy out of it whatsoever. i'll just go with the standard as always. I like to work my way through FUT, obviously though the game has to play well so really i'll decide after the demo in i guess August time. DML wrote: I absolutely detest FIFA's focus on Ultimate Team mode, I personally get absolutely no joy out of it whatsoever. Oh I know its popular. I just think its utter garbage. No gameplay, just skinny 16 year olds going on about their latest packs while pulling ridiculous faces on the video image. Most are yep,the only one I can handle and actually find his videos good fun and interesting to watch are spencers (Spencer fc). He comes out with some daft crap sometimes but it's funny and he actually seems comfortable in front of a camera and the actual output is decent . The fifa challenge series he puts out are also a good watch ,I quite like wheel of futune. The only downside is that he is a West ham fan. I really enjoy ultimate team. Makes a nice change to play online against people not playing as Barcelona, Bayern Munich or Real Madrid. my favorite part is trading in UT. Am I the only one shocked that Dblock has white people in his team? I didn't even know there were classic players in UT. How is Bergkamp only 89? Hime wrote: I didn't even know there were classic players in UT. How is Bergkamp only 89? It's only on xbox ,they don't have legends on playstation. Also to get that team you basically have to spend tons of cash buying packs ,getting lucky and making money on other cards to sell to then buy them. No way you get a team like that playing normally as each legend is worth in the hundreds of thousands of in game coins. Moggy wrote: Am I the only one shocked that Dblock has white people in his team?